We can't argue that prices in today's market have gone really high. More taxes are being pumped down to the middle and lower class and life's being too hard for most people. Luckily, there are still things that you can do to save every little bit of money that you can add to your retirement, business, or spending budget. 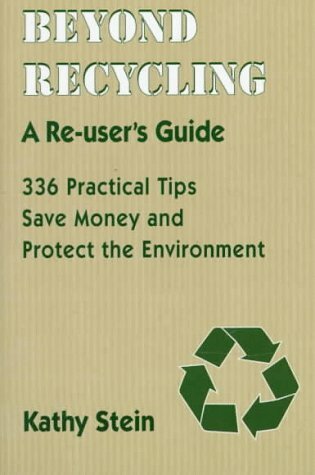 Today, I'll tell you some recycling tips and ideas that are very easy to do so that you can save money. 1. Learn to segregate your trash. Believe it or not, segregating should be the first step that you should do if you want to save more money by doing recycling. By separating the things that you could still use from the rest of your trash, you could further reduce the amount of money that's going out of your household in the form of wasted materials. 2. Look for a local junk shop near your place. Selling scrap and old stuff to junk shops and thrift stores has been a common practice in the olden age. That's not the case nowadays though. Most people prefer dumping their junk at disposal bins more than ever. Maybe because it's easier compared to keeping them and waiting for them to accumulate then finally selling them to junk shop owners. However, by doing this practice over and over again, you're going to lose a huge amount of money in the long run. Selling scrap may only earn you a dismal amount but that's still better than earning nothing. Not to mention the fact that you are helping the environment by not contributing to the ever growing number of trash that's accumulating in a rapid pace. Also, those dismal earnings would surely add up in the long run and when that happens, you'd be glad that you did what you did. 3. Keep your old magazines and newspapers. Printing pictures off the internet has been the norm nowadays. It's more convenient and yes, the end results also perfect. However, cutting pictures that you need from magazines is also great. If you have children, then you can also do little art projects with them. Not only will you be able to save money from not using papers and ink, you could also help save trees by saving paper. 4. Do DIY projects. Nothing beats the feeling of turning your junk into wonderful pieces of art that you can either use or sell. In the past, doing DIY projects require you to be artistic and crafty but nowadays, there are literally thousands of websites that offer instructions on how to do different kinds of DIY projects. Just do quick search on Google and voila! All you need know are some cheap materials and you're well on your way to creating your own masterpiece. 5. Change your lighting. Dump your old incandescent light bulbs that consume a lot more electricity and replace them with the new LED bulbs that are already available in the market. These new bulbs are energy-efficient and consume a lot less electricity compared to their incandescent counterparts. You will surely get the bang for your buck with LED lights. 6. Don't throw away your old clothes. There are a lot of things that you can do with clothes that you're not wearing anymore. You can either give them to your relatives, or you can reuse them as something else such as pieces of cloth to wipe things around your house. Just make sure that you'll cut them down into proper sizes if you're planning on doing the latter. 7. Don't waste your food. I can't stress this enough but most of us just can't help it. Wasting food has already been a problem in most households way back before the turn of the century. That problem however, has escalated to unexpected heights and has become of one the major problems being faced by the government. Recent report states that almost 2 billion tonnes of produce never make it to the plate and 45 million gallons of water goes with it. If you combine the rest of the food that you don't eat and end up on the trashcan then you're wasting more than 2 billion tonnes of food and water every year. That's an awful lot if we're talking about a kind of resource that humans can't live without. Every time you prepare something to eat, make sure that you use every usable bit of the ingredient. Sometimes you can't help it and you'll still end up with unused pieces of food. Instead of throwing them, you can try and preserving them so that you can use them some other time. There are millions of food preservation techniques online and they're very easy to do as well. Training yourself to become thrifty when it comes to preparing your food would certainly help you save a lot of money in your lifetime. 8. Send electronic greeting cards. Okay, you and the person you're giving the greeting card to might feel weird the first time you do this but ever since the initial surge of social networking websites, communicating through the internet has already been the norm in today's society. Aside from saving money on buying greeting cards, this whole process is hassle-free! Packaging materials are composed of things that take too long to decompose or doesn't decompose at all for that matter. By reusing and recycling them, you again managed to help Mother Earth. Good one buddy. 10. Learn to fix broken stuff yourself. Hiring someone to fix the broken things around your home may be the best thing to do if you don't have any idea about how they're broken. In the long run however, it's advisable if you try and learn fixing your broken stuff little by little. Not only will you be able to save money, but you'll also be more confident. The sense of independence would give you something that money can't buy. Nicely written article...Thanks for the great content! Nicely done! Not wasting food is a biggie. I watched a special on TV a little while ago that featured a family that thought they were frugal shoppers. When the cost of the food they were throwing away each week was added up, it came to something like $200 a month! I totally agree with what you said. Most of us don't have an idea of how much we can save if we try and do even the smallest things. Thanks for the nice feedback LavenderRose! The 10 main points in your life to save money because these days peoples are so careless in attempt to save money for their bad days. You're right mate. Many people are experiencing some financial difficulties because they are careless when it comes to budgeting their finances. Good suggestions on how to save money. If everyone used your tips think how much less would be sent to the landfill. Thumbs Up! Thanks for the comment! I definitely agree with you. We should strive hard to take care of our planet because in the end, we're the ones who're going to suffer if we keep on destroying our surroundings. Also, these tips are not only useful in saving money but in taking care of our environment as well.